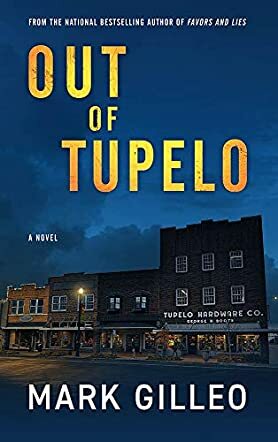 Out of Tupelo by Mark Gilleo is a well-crafted crime drama about murder, grief, and the consequences of revenge. The story follows Edward, a grieving husband whose happy life is shattered by his wife’s sudden disappearance. At first, Edward puts his trust in the local law enforcement officials as they begin the investigation into what happened to his wife. Before long, he notices discrepancies in their findings and his trust in them begins to fade. Soon he begins his own investigations and finds himself caught in a web of secrets and lies. As Edward takes matters into his own hands, he makes a few mistakes of his own. His intentions are always pure, however. He wants to bring justice for what happened to his wife, but his path to find that justice takes him on many dark turns. I found Out of Tupelo to be completely engaging and emotionally satisfying. The tension starts early on with his wife’s disappearance and never lets up until the final pages. The plot builds from a simple act of crime to a multi-tiered puzzle that involves many interesting characters and events. Mark Gilleo has a streamlined style of writing that kept me glued to the pages of his book. His characters are relatable and felt very real. His story is thoroughly researched and planned to the tee. When the final explanation came about of how all of the moving pieces of the plot fitted together, I was blown away. The mystery contained within this crime drama is masterfully constructed and very satisfying. I highly recommend Out of Tupelo. It’s thought-provoking, suspenseful, honest, and an all-round great read.